The decision is being made as PayPal wants to expand its business next year and has asked eBay to leave the facility. EBAY IS TO close its Dundalk facility next year. We confirm that PayPal has served us notice as tenants of their Dundalk facility. We will begin a formal consultation process with our colleagues in Dundalk and will share any further information with them as a matter of priority. Last July, PayPal separated from eBay Inc and PayPal took over as landlords of the Dundalk facility. PayPal controls the tenancy of the building, and can ask the tenant to leave the facility. The decision is being made as PayPal wants to expand its business next year. Following eBay’s announcement today, we wish to reaffirm PayPal’s commitment to Ireland and our growing Operations Centres in Dundalk and Dublin. Our teams in Dundalk and Dublin play an integral part in our European and Global Operations. Today PayPal employs more than 2,600 teammates across both sites, and we’re on track to reach 3,000 by 2018. This commitment is in line with our previous jobs announcements. Our operations will expand and move into the office space vacated by eBay. It’s anticipated that eBay is to close its operations in the Dundalk facility in the second quarter of 2017. Members of the eBay team were informed at a meeting today. Fianna Fáil TD for Louth, Declan Breathnach, said he remains hopeful that staff operating in Dundalk can be facilitated in transferring to a new role within the company, or to another firm in the locality. “It’s disappointing that the Government failed to convince eBay to continue with their operations in Dundalk. Every effort must now be made to ensure the workers are given all the support they need in the months ahead to secure alternative employment in the Louth area. 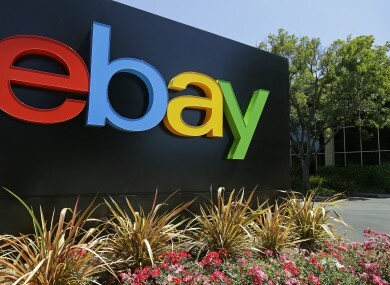 Serious questions also have to be asked as to why eBay decided to close its operations just over three years after moving its European HQ to Dundalk,” said Deputy Breathnach. In July, Sinn Féin TD Gerry Adams had called on the Minister for Jobs, Mary Mitchell O’Connor to end speculation over the future of eBay in Dundalk. Email “eBay to close Dundalk operation next year”. Feedback on “eBay to close Dundalk operation next year”.